Apple turnovers are my favourite! This looks absolutely yummy! This looks fantastic. I like that it is so small so I can make it and not be tempted to eat a whole giant pie in a weekend. Very nice homage to a great lady. I was living in Santa Rosa, California, when Julia passed away. I remember the newspapers wrote articles about her for days. So sad to loose her, she gave us so much. 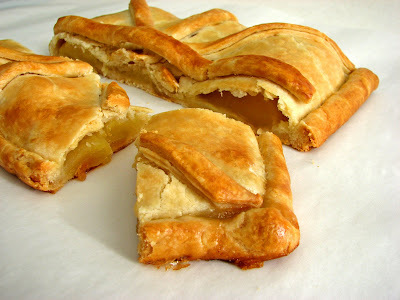 Beautiful apple turnover! Beautiful turnover! I just read My Life in Paris. Julia is an inspiration! Reading about her life reminds me to never limit myself and to never take no for an answer! Beautiful post. Isn't that gorgeous? You did a perfect job and told a lovely story about Julia and the book. When I saw the movie Julie and Julia I was hoping they would go into greater detail re her TV series. We've all seen some photos with her cooking and 4 or 5 people on the floor behind her. Guess I'll have to read Julia Child: A Life to get the complete lowdown. 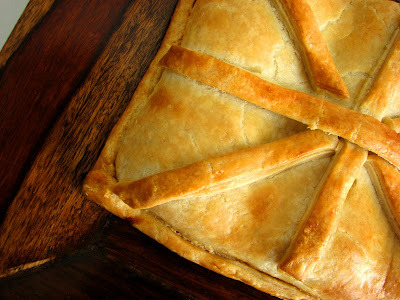 The turnovers look yummy and nice!! I can't wait to make some for the weekend! That's an awesome good apple turnover! WOW! Loved the review of the book too. Very interesting! In reading your review I could feel the respect and admiration you have for Julia Child. Well done. 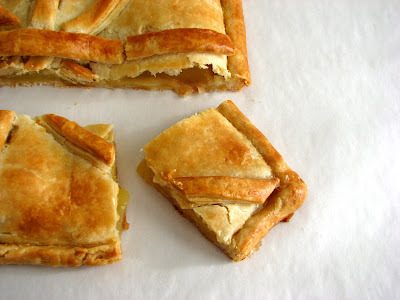 This apple turnover is something I need to try, you always make me want to try something that takes me outside the box, and that's a good thing. Beautifully baked to its perfect golden brown color.